3. 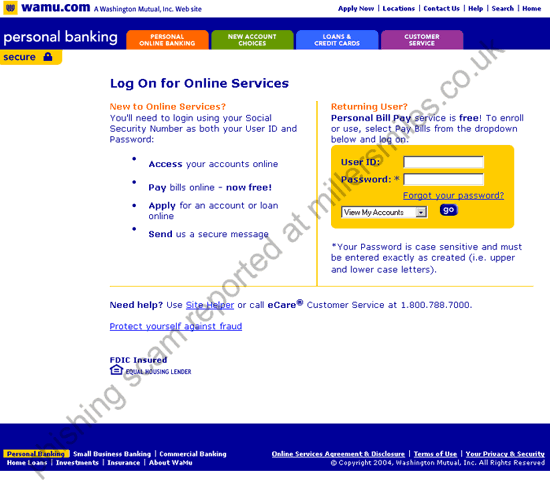 URL of spoof website disguised as https://internetbanking.wamu.com/l. This looks secure but is NOT! 6. Website traced to Cairo, Egypt. 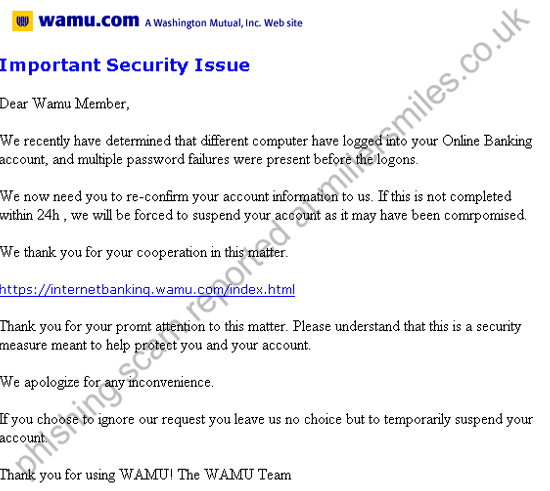 account, and multiple password failures were present before the logons. "